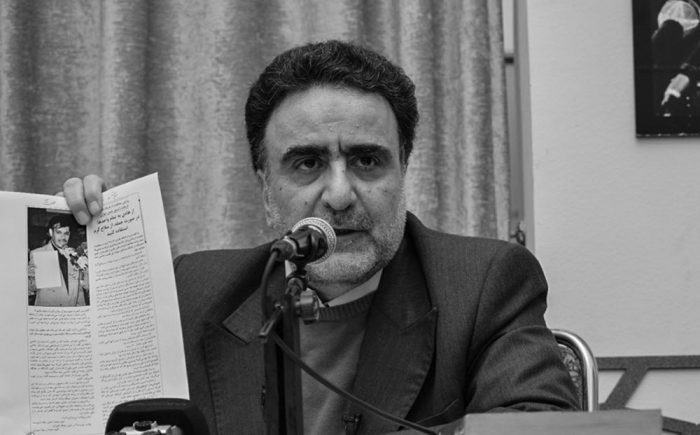 Mostafa Tajzadeh, former deputy of the Iranian regime’s interior ministery during Mohammad Khatami’s Presidency, revealing the crimes of the regime during the so called moderate President. A debate between representatives of Iranian regime factions about the history of the regime and matters of state unexpectedly turned into an admission of guilt for past crimes covered up by the Iranian regime in a recent broadcast on state-run media. The debate took place between Mostafa Tajzadeh, former Deputy of the Interior Minister during Mohammad Khatami’s presidency (so-called moderate president), and a rival, former MP Alierza Zakani. The debate quickly turned to a discussion of the Iranian regime’s role in two horrific criminal scandals that the regime has previously attempted to conceal and in an attempt to demonize its main opposition had blamed MEK for. The first series of crimes referred to during the debate was a string of more than 80 assassinations of Iranian dissident intellectuals that took place from 1989 to 1998. Khamenei initially claimed that the assassinations, known as the chain murders, were planned and carried out by “foreign enemies,” but subsequent investigations proved that the murders were orchestrated by the Iranian regime and carried out by Ministry of Intelligence and Security (MOIS) agents. The International Committee “In Search of Justice” (ISJ) in a statement dated March 1, 2012, wrote: “Iranian regime has a long history of criticizing the victim instead of the murderer. This regime carried out the murder of Christian priests, the explosion of Imam Reza‘s sacred shrine in 1994 and killings in Mecca in 1988. Later the Iranian officials admitted that they put the responsibility on the opposition to defame them.”the result of torture, were broadcast on state television. 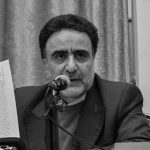 Tajzadeh’s admission is a perfect example of the regime’s technique of committing crimes against its own people and then blaming the MEK for those same crimes. This is a strategy the regime has employed a number of times in its relentless campaign of demonization against the MEK. The goal is to delegitimize the opposition so that it cannot gain support in toppling the ruling regime. When the MEK had a camp located in Iraq, regime officials claimed that the MEK was responsible for the series of deadly missile attacks carried out by Iraqi proxies of the Iranian regime to dismantle the main opposition to the regime, which eventually forced the residents to flee to Albania. Once the MEK settled into its new home in Albania, the regime tried to bomb its camp there and again claimed that the group had staged the attack itself. After an Iranian regime diplomat was arrested for masterminding a foiled terrorist attack on the annual gathering of the Iranian Resistance last summer in Paris, the regime claimed that the MEK was responsible for the attempted attack on tens of thousands of its own supporters. The European Union disagreed and issued sanctions against the MOIS and two of its agents earlier this month. The regime diplomat accused of masterminding the attack is currently standing trial in Belgium. The Iranian regime has a long history of perpetrating crimes and then blaming the MEK for those crimes. The recent televised debate is the latest illustration that this strategy is an open secret in Iran.